By definition, a bit is a piece of metal or synthetic material that fits in a horse’s mouth and aids in the communication between the horse and rider. It’s part of the bridle and allows the rider to connect with the horse via the reins. Bits normally lay comfortably in the interdental space between the incisors and premolars, commonly called the “bars” of the mouth, unless there are dental issues that need addressing. 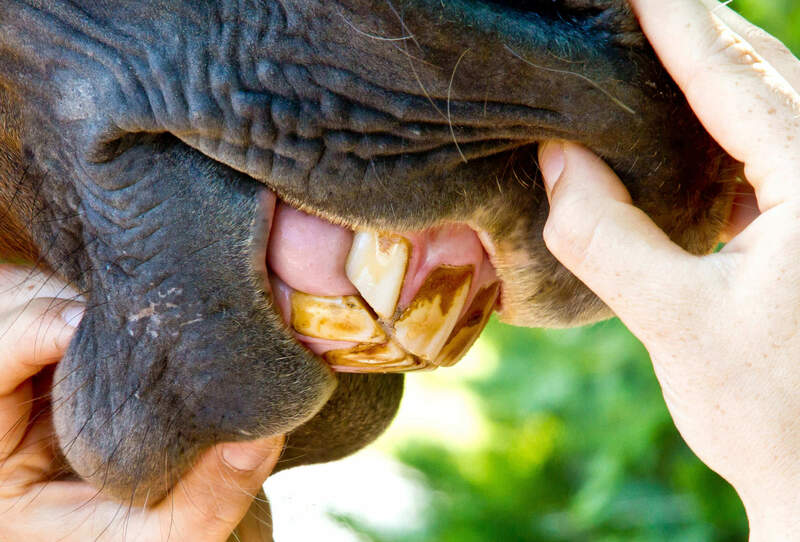 See Signs That Your Horse May Need a Dental Check-Up for further information. Most horses are worked in a bridle with a bit; however, horse owners who don’t care for bits will use a hackamore, or “bitless” bridle. Snaffle vs. Curb – What’s the Difference? Bits come in a variety of types, shapes and materials. Most bits are made of metal. Stainless steel is popular; however, some bits incorporate copper, or may even have a rubber or plastic coating. Snaffles are one of the most popular bits and are used for both English and Western riding, as well as in driving. A bit is considered a snaffle if it has rings on each end of the mouthpiece rather than shanks. It may or may not be jointed in the middle; although, most snaffles are. A snaffle bit acts on the horse’s bars (the area of gum between the front and back teeth), where it sits; the corners of the mouth and on the tongue. Snaffles are non-leverage bits; pressure is felt on the lips and sides of the mouth when the rider draws back on the reins. The exact areas of action will depend on the type of snaffle. Only one set of reins is used with this type of bit. Curb bits have a long shank (a piece that extends down from the ends of the main body of the bit) on each side that connects to the horse’s cheek-piece and reins. A curb bit will also usually have a chain or curb strap that fits under the horse’s chin. The shanks add leverage on the mouthpiece, and pressure can be applied to the poll and chin, which causes it to be considered a “stronger” bit. The longer the shank, the more severe the bit can be; however, the severity can be adjusted by loosening the curb strap. On English bridles, there are usually two reins attached to these bits, as used in the upper levels. Two examples are the Pelham (a snaffle/curb combo bit) or a double bridle (which uses both a snaffle and a curb bit at the same time). For Western riding, only one set of reins is used, attaching to the bottom of the shank. Bits come in different sizes and have different mouthpieces, which are chosen to perform different actions on the horse’s mouth and muzzle. As previously mentioned, most snaffles are jointed in the middle, but snaffles can also be straight or curved bars, or even have copper rollers in the middle. Curb bits can be one piece or jointed. Many have a “port” or raised area in the center and small “keys” or rollers may be added for horses who like to play with their tongues. A very severe bit might use twisted wires. Whatever mouthpiece you choose, make sure you have them fitted properly for safety and comfort. It’s important to remember that the purpose of a bit is to aid the rider in communicating with the horse. The bit can direct the horse to turn, change gaits, move sideways or stop. It is not intended to punish the horse, but rather to help control him. A good rider will use her hands (via the bit), legs, body via weight shifting, and voice all as communication aids. The term “light hands” is a compliment to a rider who communicates softly and easily to her horse via the bit. For some horses, a strong bit with a very delicate touch on the reins works best. For others, the simplest, softest bit is the best choice. Most young horses start off with a bitless hackamore or a simple snaffle. Stronger, more complicated bits may be useful as a horse progresses into more difficult and precise work, such as the upper-level dressage horse. If a horse fights having his bridle put on, you need to determine the reason why. It could be a dental problem such as a wolf tooth or sharp points on the teeth that the bit is pushing into sensitive cheek tissue. The bit could be improperly fitted – too tight and pushing up on the corners of his mouth or too loose and hanging down, banging on his teeth. The bit itself could be too small, pinching his lips. Perhaps the bit is stronger than he needs. Ask your veterinarian or trainer to help if you find that your horse is fighting the bridle or tossing his head when you ride. Your horse may go through many bit changes throughout his career. Depending on the riding discipline, horse’s temperament and rider style, bits may be changed during training or for competitions. 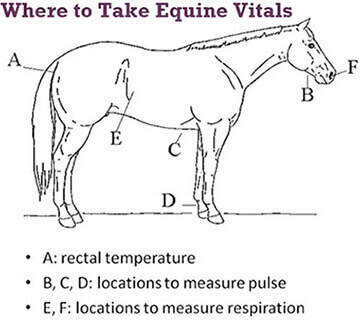 Check periodically to make sure that you are using the right bit both in type and sizing for your horse. Happy Riding!